Add FIREPOWER to almost anything! Use our Microgauss Gun Technologytm! 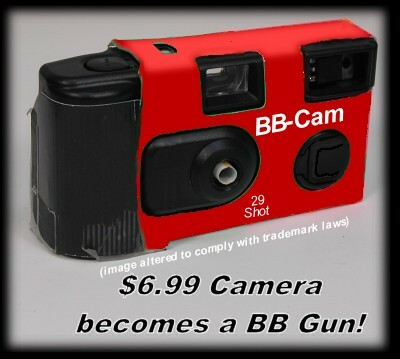 Make your own BB Guns! This is the one UNCLE SAM doesn't want you to know about! If you're a model hobbyist who always wanted to add FIREPOWER to your toys, these plans are for YOU! This amazing project will take you into the world of futuristic weaponry! This simple gauss gun concept can be made incredibly small, using as little as 1 AA battery for power yet pack an amazing amount of force. Add guns to your model boats, planes, cars, disposable camera's - whatever! Click the appropriate video link below. Buy them while they're still legal! WARNING! These devices are dangerous. Any modified device shown, depicted or otherwise referenced is not approved of, supported by, authorized by or in any way in cooperation with the device's original manufacturer. These projects are build at you're risk.